HB18 HD1 SD1 RELATING TO CHILDHOOD SEXUAL ABUSE. HB19 RELATING TO THE ENVIRONMENT. HB20 RELATING TO CANNABIDIOL OIL. HB21 RELATING TO THE PALI LANES BOWLING ALLEY PROPERTY IN KAILUA. HB22 RELATING TO STATE CAPITOL TOURS. HB23 HD1 RELATING TO CONDOMINIUMS. HB35 RELATING TO MENTAL HEALTH. HB37 RELATING TO MEDICAL CANNABIS. HB87 RELATING TO INDUSTRIAL HEMP. HB201 HD1 SD1 RELATING TO INVASIVE SPECIES. HB251 HD1 RELATING TO EDUCATION. HB265 HD1 RELATING TO INVASIVE SPECIES. HB290 HD1 SD2 RELATING TO THE UNIFORM CONTROLLED SUBSTANCES ACT. HB298 HD1 RELATING TO INTRA-GOVERNMENTAL WHEELING. HB379 HD1 RELATING TO HEALTH. HB381 HD1 RELATING TO HEALTH. HB382 RELATING TO THE DEPARTMENT OF EDUCATION. HB383 HD1 RELATING TO CHILD WELFARE SERVICES. HB386 RELATING TO SEXUAL VIOLENCE PREVENTION EDUCATION. HB387 HD1 RELATING TO HEALTH. HB388 HD1 RELATING TO THE HAWAII ZERO TO THREE COURT. HB402 HD1 SD2 RELATING TO INCREASING THE OFFICE OF HAWAIIAN AFFAIRS' PRO RATA SHARE OF PUBLIC LAND TRUST FUNDS. HB413 HD2 SD1 RELATING TO EDUCATION INNOVATION GRANTS. HB416 RELATING TO CHILD CARE. HB417 RELATING TO EYE CARE MEDICATION COVERAGE. HB465 HD1 SD2 RELATING TO AGING. HB466 HD1 SD1 MAKING AN APPROPRIATION FOR THE AGING AND DISABILITY RESOURCE CENTER. HB467 HD1 SD2 RELATING TO THE KUPUNA CAREGIVERS PROGRAM. HB468 HD1 SD2 RELATING TO THE HEALTHY AGING PARTNERSHIP PROGRAM. HB470 RELATING TO RETIREMENT SAVINGS. HB471 HD1 SD1 RELATING TO AGING. HB472 RELATING TO ACTIVE AGING. HB481 HD2 SD1 RELATING TO INSURANCE. HB482 RELATING TO SEXUAL VIOLENCE. HB484 HD2 RELATING TO CLINICAL VICTIM SUPPORT SERVICES. HB486 HD1 SD1 RELATING TO PROSTITUTION. HB488 HD2 SD1 RELATING TO EMPLOYMENT PRACTICES. HB489 RELATING TO DOMESTIC VIOLENCE. HB490 HD1 RELATING TO THE LICENSURE OF MIDWIVES. HB549 HD1 SD1 RELATING TO THE ENVIRONMENT. HB550 HD1 SD1 RELATING TO RENEWABLE ENERGY. HB551 SD1 RELATING TO CESSPOOLS. HB553 RELATING TO LITTER CONTROL. HB554 HD1 RELATING TO EXPENSES OF NEIGHBOR ISLAND RESIDENT PUBLIC UTILITIES COMMISSIONERS. HB555 RELATING TO THE ENVIRONMENT. HB556 HD1 SD2 RELATING TO ENERGY EFFICIENCY. HB559 RELATING TO AN ELECTRIC VEHICLE-READY HAWAII. HB560 HD1 SD1 RELATING TO ENERGY TRAINING. HB561 HD1 RELATING TO INVASIVE SPECIES. HB562 HD1 SD1 RELATING TO CONSTRUCTION WASTE. HB563 HD1 RELATING TO A COAL-FREE HAWAII. HB564 RELATING TO THE STATE SHRIMP. HB565 HD1 RELATING TO DISCLOSURE OF COASTAL HAZARDS. HB605 RELATING TO DOWN PAYMENTS. HB607 RELATING TO CAREER AND TECHNICAL EDUCATION. HB608 RELATING TO DEPARTMENT OF EDUCATION FUNDING. HB609 RELATING TO RESIDENCY PROGRAMS FOR HAWAII MEDICAL SCHOOL GRADUATES. HB610 RELATING TO GENERAL EXCISE TAX EXEMPTIONS. HB633 RELATING TO ANIMAL CRUELTY. HB635 RELATING TO LEGISLATIVE ACCESS THROUGH REMOTE TESTIMONY. HB636 RELATING TO RENTALS OF MOPEDS AND MOTOR SCOOTERS. HB656 RELATING TO CHILD CARE FACILITIES. HB733 RELATING TO THE CHIEF DATA OFFICER. HB734 RELATING TO CONTROLLED SUBSTANCES. HB737 RELATING TO AUTISM SPECTRUM DISORDER. HB738 RELATING TO THE RESIDENTIAL LANDLORD-TENANT CODE. HB765 HD1 SD2 RELATING TO COASTAL PLANNING. HB767 RELATING TO TEMPORARY RESTRAINING ORDERS. HB837 RELATING TO ENVIRONMENTAL RESPONSE. HB847 HD1 RELATING TO THE STATE CAPITOL. HB849 RELATING TO PUBLIC ACCESS TO THE SHORELINE IN SOUTH MAUI. HB853 RELATING TO ENVIRONMENTAL PROTECTION. HB917 HD1 RELATING TO PUBLIC SCHOOL LANDS. HB918 HD1 RELATING TO PUBLIC SCHOOL LANDS. HB920 RELATING TO SCHOOL BASED HEALTH SERVICES. HB921 HD2 SD2 RELATING TO EDUCATION. HB1066 RELATING TO THE AGRIBUSINESS DEVELOPMENT CORPORATION. HB1083 RELATING TO RAPID OHIA DEATH DISEASE. HB1087 RELATING TO HEALTH CARE. HB1120 RELATING TO THE CAPITAL IMPROVEMENT PROJECTS FOR THE BENEFIT OF THE FIFTIETH REPRESENTATIVE DISTRICT. HB1146 HD1 SD1 RELATING TO PROCUREMENT. HB1147 HD1 RELATING TO INTIMATE PARTNER VIOLENCE. HB1148 RELATING TO HEALTH CARE COVERAGE. HB1149 RELATING TO ON-SITE CHILDHOOD FACILITIES. HB1152 RELATING TO MARINE RESOURCES. HB1153 HD1 SD1 RELATING TO REMOTE TESTIMONY IN LEGISLATIVE HEARINGS. HB1177 HD1 RELATING TO PUBLIC SAFETY. HB1192 HD2 SD2 RELATING TO EQUAL PAY. HB1270 HD1 SD2 RELATING TO THE HOSPITAL SUSTAINABILITY PROGRAM. HB1273 HD1 SD1 RELATING TO HEALTH. HB1274 HD1 SD1 RELATING TO EDUCATION. HB1275 HD1 RELATING TO EDUCATION. HB1277 HD1 RELATING TO THE UNIVERSITY OF HAWAII PROMISE PROGRAM. HB1327 HD2 RELATING TO ELECTIONS. HB1396 RELATING TO GOVERNMENTAL WHEELING. HB1435 HD2 RELATING TO GENDER EQUITY. HB1501 RELATING TO MOLOKAI RANCH. HB1504 RELATING TO INDUSTRIAL HEMP. HB1568 RELATING TO THE UNIVERSITY OF HAWAII. HB1592 RELATING TO GENERAL EXCISE TAX EXEMPTIONS. HB1593 HD1 SD1 RELATING TO INFORMATION TECHNOLOGY. HB1594 RELATING TO LICENSED CRISIS RESIDENTIAL SHELTERS. HCR5 REQUESTING MEMBERS OF THE UNITED STATES CONGRESS TO AMEND FEDERAL LAW TO ENSURE THAT VICTIMS OF SEXUAL HARASSMENT AND SEXUAL ASSAULT WHO MIGHT OTHERWISE BE FORCED INTO ARBITRATION AND SILENCE INSTEAD HAVE ACCESS TO THE COURTS. HCR20 REQUESTING CONGRESS TO CONVENE A LIMITED NATIONAL CONVENTION UNDER ARTICLE V FOR THE EXCLUSIVE PURPOSE OF PROPOSING AN AMENDMENT TO THE UNITED STATES CONSTITUTION THAT WILL LIMIT THE INFLUENCE OF MONEY IN OUR ELECTORAL PROCESS. HCR21 REQUESTING THE STATE AUDITOR TO CONDUCT A SUNRISE ANALYSIS OF MANDATING HEALTH CARE COVERAGE FOR CANNABIDIOL OIL DERIVED FROM INDUSTRIAL HEMP. HCR28 HD1 ENCOURAGING THE DEPARTMENT OF EDUCATION AND OTHER STAKEHOLDERS TO MEET AS A WORKING GROUP FOR SEXUAL-VIOLENCE PREVENTION IN PUBLIC SCHOOLS. HCR40 URGING THE DEPARTMENT OF LAND AND NATURAL RESOURCES, DIVISION OF FORESTRY AND WILDLIFE TO DOCUMENT THE HISTORY OF EXEMPLARY CONTRIBUTIONS MADE BY COMMUNITY MEMBERS, INCLUDING KUPUNA, CONSERVATIONISTS, AND CITIZENS. HCR88 URGING THE GOVERNOR TO APPOINT AS MEMBERS TO THE STATE COUNCIL ON MENTAL HEALTH AT LEAST TWO INDIVIDUALS WITH DEMONSTRATED KNOWLEDGE OF OR WORK EXPERIENCE INVOLVING NATIVE HAWAIIAN CONCEPTS OF WELL-BEING, CULTURALLY-GROUNDED MENTAL HEALTH METHODOLOGIES, OR TRADITIONAL HEALING OR HEALTH PRACTICES. HCR89 REQUESTING THE UNITED STATES CONGRESS TO ENACT LEGISLATION REMOVING CANNABIS FROM THE FEDERAL CONTROLLED SUBSTANCES ACT AND FACILITATE THE FULL SPECTRUM OF PRIVATE BANKING SERVICES FOR CANNABIS-RELATED BUSINESS. HCR90 REQUESTING A STUDY ON THE EFFECTS OF MARIJUANA LEGALIZATION IN CERTAIN STATES AND THE DISTRICT OF COLUMBIA. HCR93 REQUESTING THE AUDITOR TO ASSESS THE SOCIAL AND FINANCIAL EFFECTS OF REQUIRING HEALTH INSURERS TO PROVIDE COVERAGE FOR CLINICAL VICTIM SUPPORT SERVICES FOR VICTIMS OF SEXUAL VIOLENCE AND ABUSE. HCR103 URGING THE DEPARTMENT OF HEALTH TO COMPLETE THE REQUIRED ASSESSMENT AND TOTAL MAXIMUM DAILY LOAD PROCESS FOR KAELEPULU WATERSHED TO RESTORE AND PROTECT THE KAILUA WATERWAYS. HCR104 DESIGNATING KAILUA, OAHU, AS A VISION ZERO COMMUNITY WHERE NO LOSS OF LIFE OR SERIOUS INJURY ON ROADS IS ACCEPTABLE AND URGING GOVERNMENT TO ADOPT AND IMPLEMENT VISION ZERO POLICIES AND PLANNING. HCR118 RECOGNIZING THE IMPORTANCE OF THE STATE'S POLLINATOR SPECIES, THE THREAT THAT SYSTEMIC INSECTICIDES POSE TO SUCH SPECIES, AND URGING THE DEPARTMENT OF LAND AND NATURAL RESOURCES AND THE DEPARTMENT OF AGRICULTURE TO TAKE MEASURES TO LIMIT POLLINATOR EXPOSURE TO NEONICOTINOIDS. HCR137 SD1 REQUESTING THE DEPARTMENT OF BUDGET AND FINANCE TO INFORM THE PRESIDENT OF THE SENATE AND THE SPEAKER OF THE HOUSE OF REPRESENTATIVES WITHIN SEVEN DAYS OF THE ISSUANCE OF SPECIAL PURPOSE REVENUE BONDS. HCR178 URGING THE REAL ESTATE COMMISSION TO DEVELOP TRAINING FOR CONDOMINIUM ASSOCIATION BOARD MEMBERS. HCR183 URGING EACH COUNTY TO CURB THE PROLIFERATION OF ILLEGAL VACATION RENTALS. HCR190 REQUESTING THE DEPARTMENT OF ACCOUNTING AND GENERAL SERVICES TO INVESTIGATE THE COEXISTENCE OF JALOUSIE WINDOWS AND AIR CONDITIONING IN STATE BUILDINGS AND CONSIDER MORE ENERGY EFFICIENT ALTERNATIVES. HCR195 CONVENING A WORKING GROUP TO DISCUSS LOCAL ISSUES SURROUNDING WASTE REDUCTION. HCR197 HD1 REQUESTING A STUDY THAT SUMMARIZES THE PUBLISHED REPORTS AND STUDIES ON THE EFFECTS OF 5G WIRELESS TECHNOLOGY ON BIOLOGICAL LIFE. HCR214 URGING THE UNITED STATES DEPARTMENT OF THE TREASURY TO MAINTAIN THE ORIGINAL TIMELINE TO INTRODUCE HARRIET TUBMAN AND OTHER FEMALE AND CIVIL RIGHTS LEADERS ONTO UNITED STATES CURRENCY BY 2020 TO CELEBRATE ONE HUNDRED YEARS OF WOMEN'S SUFFRAGE. HR6 REQUESTING MEMBERS OF THE UNITED STATES CONGRESS TO AMEND FEDERAL LAW TO ENSURE THAT VICTIMS OF SEXUAL HARASSMENT AND SEXUAL ASSAULT WHO MIGHT OTHERWISE BE FORCED INTO ARBITRATION AND SILENCE INSTEAD HAVE ACCESS TO THE COURTS. HR33 HD1 ENCOURAGING THE DEPARTMENT OF EDUCATION AND OTHER STAKEHOLDERS TO MEET AS A WORKING GROUP FOR SEXUAL-VIOLENCE PREVENTION IN PUBLIC SCHOOLS. HR57 HD1 REQUESTING THE DEPARTMENT OF EDUCATION TO ESTABLISH TRAINING PROGRAMS FOR THE PREVENTION, IDENTIFYING AND REPORTING CHILD ABUSE AND NEGLECT. HR59 REQUESTING THE DEPARTMENT OF HUMAN SERVICES IN CONJUNCTION WITH THE DEPARTMENT OF EDUCATION TO DEVELOP A MOBILE APPLICATION FOR REPORTING CHILD ABUSE AND NEGLECT. HR85 URGING THE GOVERNOR TO APPOINT AS MEMBERS TO THE STATE COUNCIL ON MENTAL HEALTH AT LEAST TWO INDIVIDUALS WITH DEMONSTRATED KNOWLEDGE OF OR WORK EXPERIENCE INVOLVING NATIVE HAWAIIAN CONCEPTS OF WELL-BEING, CULTURALLY-GROUNDED MENTAL HEALTH METHODOLOGIES, OR TRADITIONAL HEALING OR HEALTH PRACTICES. HR86 REQUESTING THE UNITED STATES CONGRESS TO ENACT LEGISLATION REMOVING CANNABIS FROM THE FEDERAL CONTROLLED SUBSTANCES ACT AND FACILITATE THE FULL SPECTRUM OF PRIVATE BANKING SERVICES FOR CANNABIS-RELATED BUSINESS. HR87 REQUESTING A STUDY ON THE EFFECTS OF MARIJUANA LEGALIZATION IN CERTAIN STATES AND THE DISTRICT OF COLUMBIA. HR88 REQUESTING THE AUDITOR TO ASSESS THE SOCIAL AND FINANCIAL EFFECTS OF REQUIRING HEALTH INSURERS TO PROVIDE COVERAGE FOR CLINICAL VICTIM SUPPORT SERVICES FOR VICTIMS OF SEXUAL VIOLENCE AND ABUSE. HR97 URGING THE DEPARTMENT OF HEALTH TO COMPLETE THE REQUIRED ASSESSMENT AND TOTAL MAXIMUM DAILY LOAD PROCESS FOR KAELEPULU WATERSHED TO RESTORE AND PROTECT THE KAILUA WATERWAYS. HR98 DESIGNATING KAILUA, OAHU, AS A VISION ZERO COMMUNITY WHERE NO LOSS OF LIFE OR SERIOUS INJURY ON ROADS IS ACCEPTABLE AND URGING GOVERNMENT TO ADOPT AND IMPLEMENT VISION ZERO POLICIES AND PLANNING. HR108 RECOGNIZING THE IMPORTANCE OF THE STATE'S POLLINATOR SPECIES, THE THREAT THAT SYSTEMIC INSECTICIDES POSE TO SUCH SPECIES, AND URGING THE DEPARTMENT OF LAND AND NATURAL RESOURCES AND THE DEPARTMENT OF AGRICULTURE TO TAKE MEASURES TO LIMIT POLLINATOR EXPOSURE TO NEONICOTINOIDS. HR113 URGING THE COUNTY COUNCILS TO ENACT ORDINANCES TO BAN THE SALE AND RENTAL OF FULL-FACE SNORKEL MASKS IN HAWAII. HR117 HD1 REQUESTING THE DEPARTMENT OF LABOR AND INDUSTRIAL RELATIONS TO CONVENE AN INTERAGENCY ENFORCEMENT TASK FORCE TO COMBAT ILLEGAL ACTIVITIES RELATED TO THE CONSTRUCTION AND OPERATIONS OF "MONSTER HOMES" IN THE STATE. HR119 REQUESTING THE STATE TO CONVENE AN ARTIFICIAL INTELLIGENCE ADVISORY COMMITTEE TO INVESTIGATE HOW TO IMPLEMENT, DEVELOP, AND REGULATE ARTIFICIAL INTELLIGENCE IN THE STATE. HR126 REQUESTING THE HAWAII STATE ENERGY OFFICE TO PERFORM A STUDY ON THE FEASIBILITY OF INCENTIVIZING THE CREATION OF A GLASS AND SOLAR PANEL RECYCLING PLANT USING FUNDS FROM A FEE TO BE ATTACHED TO EACH SOLAR PANEL SOLD IN THE STATE. HR127 URGING THE COUNTY OF HAWAII TO CREATE ALTERNATE ROUTES TO PROPERTIES IN THE PUNA DISTRICT THAT WERE AFFECTED, BUT NOT DESTROYED, BY THE 2018 KILAUEA ERUPTION. HR148 REQUESTING THE WILLIAM S. RICHARDSON SCHOOL OF LAW TO CONVENE A TASK FORCE TO STUDY AND REPORT ON A LOAN FORGIVENESS PROGRAM FOR LAW STUDENTS TO PROVIDE INCENTIVES FOR LEGAL ASSISTANCE IN RURAL COMMUNITIES IN HAWAII. HR149 ENGAGING, ENDORSING, ACCEPTING, AND ADOPTING THE AARHUS CONVENTION TO ACHIEVE THE UNITED NATIONS PARIS AGREEMENT, THE 2030 AGENDA, AND THE UNIVERSAL DECLARATION OF HUMAN RIGHTS. HR150 URGING THE DEPARTMENT OF HEALTH TO CONVENE A TASK FORCE TO EVALUATE AND IDENTIFY POTENTIAL SOURCES AND MEANS OF FUNDING AVAILABLE TO PROVIDE SUPPORT FOR AND HELP MAINTAIN THE HAWAII WILDLIFE CENTER FACILITY AND HAWAII'S ENDANGERED WILDLIFE. HR160 URGING THE REAL ESTATE COMMISSION TO DEVELOP TRAINING FOR CONDOMINIUM ASSOCIATION BOARD MEMBERS. HR165 URGING EACH COUNTY TO CURB THE PROLIFERATION OF ILLEGAL VACATION RENTALS. HR171 REQUESTING THE DEPARTMENT OF ACCOUNTING AND GENERAL SERVICES TO INVESTIGATE THE COEXISTENCE OF JALOUSIE WINDOWS AND AIR CONDITIONING IN STATE BUILDINGS AND CONSIDER MORE ENERGY EFFICIENT ALTERNATIVES. HR176 CONVENING A WORKING GROUP TO DISCUSS LOCAL ISSUES SURROUNDING WASTE REDUCTION. HR177 REQUESTING THE BOARD OF LAND AND NATURAL RESOURCES TO PRIORITIZE STREAM RESTORATION AND PROTECTION WHEN DISCUSSING AND MAKING WATER AND LAND USE DECISIONS AFFECTING THE ENVIRONMENT AND DRINKING WATER. HR178 HD1 REQUESTING A STUDY THAT SUMMARIZES THE PUBLISHED REPORTS AND STUDIES ON THE EFFECTS OF 5G WIRELESS TECHNOLOGY ON BIOLOGICAL LIFE. HR192 URGING THE UNITED STATES DEPARTMENT OF THE TREASURY TO MAINTAIN THE ORIGINAL TIMELINE TO INTRODUCE HARRIET TUBMAN AND OTHER FEMALE AND CIVIL RIGHTS LEADERS ONTO UNITED STATES CURRENCY BY 2020 TO CELEBRATE ONE HUNDRED YEARS OF WOMEN'S SUFFRAGE. 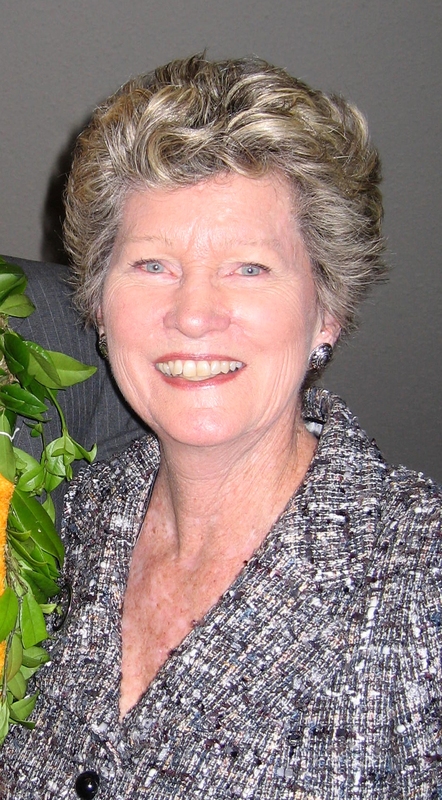 Representative Cynthia Thielen attended Stanford University, Case Western Reserve University and the University of Hawai'i, graduating with a degree in law. She is a founding member of the U.H. Law Review. 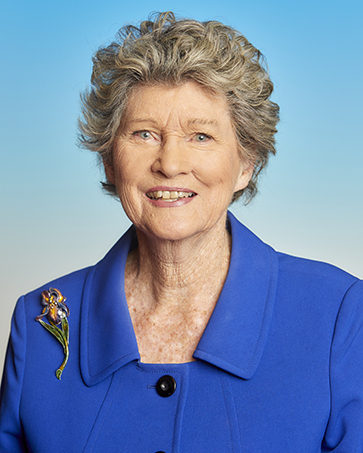 Representative Thielen has served District 50, Kailua and Kaneohe, as State Representative since 1990 and served as Minority Floor Leader from 1992 to 1997. Currently she is Assistant Minority Floor Leader and is the ranking member on the Agriculture; Judiciary; Ocean, Marine Resources, & Hawaiian Affairs; Public Safety; and Water & Land Committees. She is known for her annual Legislative Road Shows, which she presents to students throughout her District. But HECO has been slow to move forward, preventing residents from reducing their monthly utility bills. The Energy Storage North America (ESNA) Expo and Conference in San Jose was the largest gathering of energy storage leaders, government officials and utilities addressing grid-connected energy storage. I was one of the invited keynote panelists, along with PUC Commissioner Lorraine Akiba, Hawaiian Electric VP Colton Ching, and moderator, Leslie Cole Brooks, Executive Director of Hawaii Solar Energy Association. The room was filled as we discussed the role of energy storage in achieving Hawaii's Clean Energy Initiative. The first point to make is that energy storage is a mature, commercially available technology in use nationally and internationally. Check out Germany to see how its leading this revolution. Devices to measure wave energy and convert it into electricity will be deployed in Kaneohe Bay near Marine Corps Base Hawaii starting this year, say the Navy, state Rep. Cynthia Thielen and a private company. The eventual goal is to develop a full-scale source of electricity that can be added to Oahu's grid. The wave-energy conversion device, called Azura, was developed by Northwest Energy Innovations, a company based in Portland. The 50-foot-high device will bob on the surface while anchored to the bottom in 100 feet of water, about three-fifths of a mile offshore. "This has been underway for a long time and the reason I think that it hasn't come to fruition up till now is it got lost in the weeds of the arguments about marijuana," Abercrombie said during the bill-signing ceremony. He later added, "Regardless of whatever has been in the past, I think we're ready to move forward." 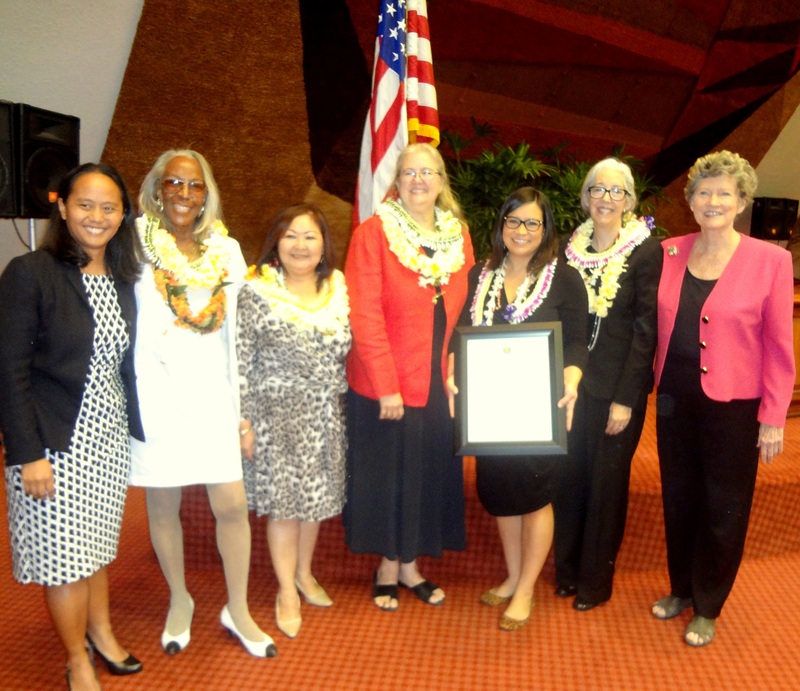 Congratulation to the Hawaii State Commission on the status of women for its 50 years of commitment to creating equality for women and girls in the state of Hawaii. A program as successful as the Commission on the Status of Women requires remarkable people to be able to run it effectively. Today we are lucky to have just a few of the stellar minds behind the Commission with us on the floor. I would first like to honor Ms. Cathy Betts, the current Executive Director of the Commission. Cathy Betts was honored here at the State Legislature in 2012 for her excellent advocacy and education efforts for Title IX, and her involvement in women's advocacy is applaud-worthy. She has worked in the fields of family law, violence against women, child abuse and Title IX. She also formerly served as the Patsy T. Mink Legislative Fellow in the late Senator Daniel K. Inouye's Washington D.C. office. Cathy is a former Deputy Attorney General with the State of Hawai'i's Family Law Division and currently serves on multiple boards, including the Board of Directors for the Hawaii Filipino Lawyers Association and the Board of Directors for Hawai'i Women Lawyers. Sadly, Hawaiian Electric Co. has opted out of using the power of ocean energy to free our island state from fossil fuel dependence ("Is HECO adapting fast enough?" Star-Advertiser, Island Voices, Feb. 19). In fact, HECO recently cancelled a wave-energy power purchase proposal from Oceanlinx, an international company specializing in wave energy technology. HECO's reason for denying Oceanlinx's proposal? The utility would not cover the device-to-shore cost transferring energy generated from the wave-energy device to the grid. It is ironic that a few home builders, expecting to live a life in paradise, actually threaten their own vision with irresponsible construction that destroys vital coastal dunes. Coastal dunes act as flexible barriers to ocean storm surges and waves, protect low-lying backshore areas, and serve as sand reservoirs for beach nourishment. However, coastal dunes are highly sensitive to human activities and require limited interaction with humans to ensure their preservation. As Hawaii's shorelines have become increasingly developed with beachfront residential communities, shoreline specialists have been reexamining shoreline setbacks as a mechanism to preserve Hawaii's beaches. State Representative Cynthia Thielen (R, 50th District: Kailua, Kaneohe Bay) co-introduced House Bill 154 which would authorize a two-year industrial hemp remediation and biofuel crop research program conducted through the College of Tropical Agriculture at the University of Hawaii at Manoa. When passed, this progressive legislation will keep Hawaii on the cutting edge of agricultural research, help the state realize the economic capabilities of the crop, and potentially restore land previously damaged by earlier contamination. "With its ability to cleanse the soil of toxins, industrial hemp could be an environmentally friendly replacement for sugar and pineapple," says Representative Thielen, remarking on hemp's potential in Hawaii. "Hemp is often grown without pesticides or herbicides due to its natural ability to ward off unwanted insects and weeds. Furthermore, hemp's potential as a biofuel feedstock could be a game-changer for Hawaii." Some Kailua residents are upset about a state landscaping project they were never told about. "Came home one day and the median strip was bald. Nothing there," Kailua resident Janet Boomla said. Now, there's nothing there except some piles of dirt where trees used to be. State Rep. Cynthia Thielen said her office was flooded with calls from curious and angry residents. So, she contacted the state. More concerns are being raised about a mainland contractor who left open trenches in Kailua. A bicyclist was hurt when she fell into one of them. State Rep. Cynthia Thielen (R) Kailua-Kaneohe Bay, says it was one problem after another from the very beginning. "I have to say that we've never had a Kailua project that has caused so many problems,"Rep. Thielen said. On March 14th, 19 Legislators in the State House of Representatives, including some in leadership, cosponsored HR100 and HCR129 calling for the State Director of Health to head a task force on the effects of atrazine on human health. Atrazine is a toxic, weed-killing pesticide used in Hawai'i for decades in treating sugarcane, pineapple, and most recently seed corn. It is ironic that our country's Declaration of Independence was drafted on hemp paper, because any mention of hemp today is likely to be met with raised eyebrows. However, the public perception of hemp, which is not the same plant as marijuana, might be on the verge of a dramatic national shift. Last week, U.S. Senate Minority Leader Mitch McConnell said, "I am convinced that allowing (hemp's) production will be a positive development for Kentucky's farm families and economy. The utilization of hemp to produce everything from clothing to paper is real and if there is a capacity to center a new domestic industry in Kentucky that will create jobs in these difficult economic times, that sounds like a good thing to me." A resolution urging Congress and the President to clarify that "the congressional intent of the federal Controlled Substances Act is not to prohibit the production of industrial hemp" was passed today by the state House of Representatives. HR6 was introduced by Speaker Joseph Souki, Representative Cynthia Thielen, Representative Angus McKelvey, Representative Tom Brower, Representative Faye Hanohano, Representative Chris Lee, Representative Scott Nishimoto, Representative Roy Takumi, and Representative Jessica Wooley. HR6 now goes to Congress and President Obama. Representative Cynthia Thielen, (R-Kailua), announced she will introduce legislation this Wednesday, January 16, 2013, to establish a permanent Task Force to determine and periodically revise a "reasonable rate of return" for electric utilities. The bill also establishes a bipartisan joint legislative oversight committee to determine if the Public Utilities Commission (PUC) is enforcing the "reasonable rate of return" established by the Task Force. Representative Thielen said, "The electricity costs for ratepayers in Hawaii have increased at a constant and precipitous rate, and these increases have created serious financial hardships for Hawaii residents. One of the most important functions of the PUC is to approve or deny rate increases proposed by HECO, but in reality, the PUC rarely denies rate increases." Harsh reality shows that modern wind power has been contentious throughout the world. Wind turbines are eyesores that often disturb the natural landscape, endanger wildlife and regularly need backup fossil fuel. Great Britain recently announced that it would halt most land-based wind projects. The situation is exacerbated in Hawaii, where wind energy costs range from 20 to 28 cents per kilowatt hour - more than three times than in California. Fires at First Wind's Kahuku Wind Farm have led to turbines that do not work - adding to the mass of unused turbines that litter America's lands. Two of my grandchildren are growing up on Kaua�i, including one just newly born. They are very fortunate to call such a beautiful place their home and to be raised in a community that values its quieter lifestyle and unique cultural and environmental resources, and has a long history of standing up for itself. These qualities which make Kaua�i so special are in grave danger from several bills pushing their way through the State Legislature this Session. House Bill No. 2417 (HB 2417) will limit the availability of the Hawaii Renewable Energy Technologies Income Tax Credit from one credit per system to one credit per property for both residential and commercial projects. Currently, the tax credit applies to each renewable energy system that a property owner installs. Without this tax credit for each system, many families and businesses will not be able to afford the high up-front costs of photovoltaic. Honolulu - Hawai'i State Representative Cynthia Thielen (R, 50th District: Kailua, Kaneohe Bay) announced that Hawaii's rising seas pose a substantial threat to Hawaii's infrastructure and overall economy. Because of climate change, the Center for Island Climate Adaptation and Policy (ICAP) stated that Hawaii is expected to experience sea level rise of one foot by 2050. Long term sea level rise has contributed to, and will continue to contribute to, ongoing coastal erosion, coastal flooding, and drainage problems. 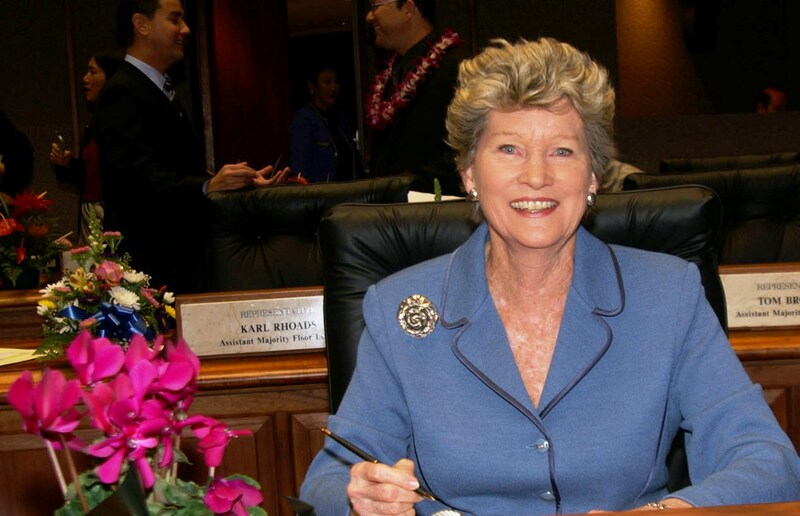 Honolulu - Hawai'i State Representative Cynthia Thielen (R, 50th District: Kailua, Kaneohe Bay) announced that Hawaii's wave energy resources are substantially greater than previously estimated. The U.S. Department of Energy's newly released "Mapping and Assessment of the United States Ocean Wave Energy Resource" shows Hawaii's wave energy was significantly underestimated. The updated assessment shows Hawaii's wave energy resource is 130TWh/yr according to DOE. For more than 20 years, the Women's Legislative Caucus (WLC) has worked to improve the lives of Hawaii's women and their families. This bipartisan group of legislators from both the House and Senate comes together each year to create a legislative package addressing issues affecting women in Hawai'i. Honolulu - A bill establishing a Farm to School Program within the Department of Agriculture was introduced today by Hawai'i State Representative Cynthia Thielen (R, 50th District: Kailua, Kaneohe Bay). This program would require public schools to purchase Hawai'i -grown produce when available at approximate the same cost as foods imported from out of state. Southampton, England >> At the opening of the recent five-day European Wave and Tidal Energy Conference, I presented a proclamation from Gov. 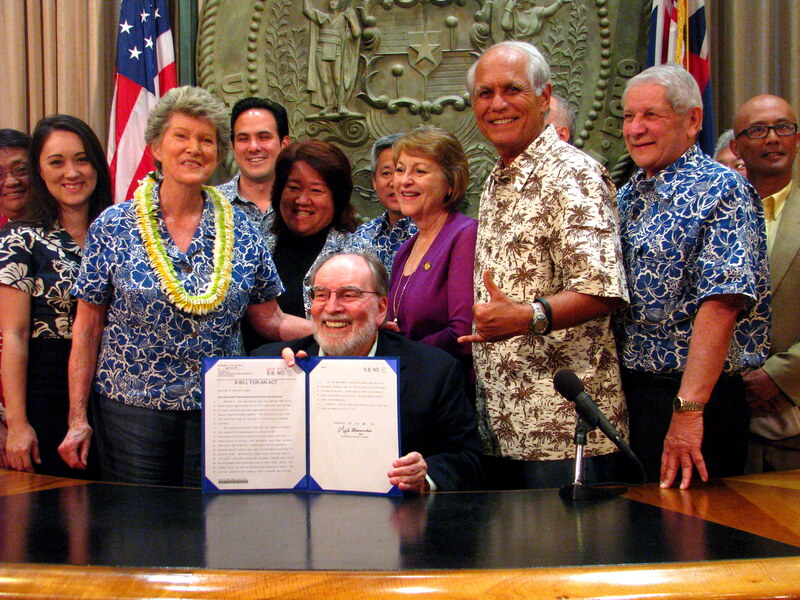 Neil Abercrombie and Lt. Gov. Brian Schatz encouraging wave energy developers "to strongly consider Hawaii as an ideal market to present your products to the world." For more than 20 years, the Women's Legislative Caucus has worked diligently to improve the lives of Hawaii's women and their families. Including state lawmakers from both the House and Senate, the Women's Caucus annually drafts and submits its package of bills with the goal of remedying key problems facing women and their families today. It is always inspiring to meet students who understand that it only takes one caring and vocal citizen to change laws or create new ways of doing things. With all the economic challenges and budget woes state lawmakers are now trying to resolve, our Legislature still has taken time to address Hawaii's unfortunate reputation as one of the "five worse states to be an animal." We all applauded the rescue of more than 154 dogs and puppies from the Waimanalo puppy mill. I did receive news from the city Department of Planning and Permitting that the puppy mill property has accrued more than $15,000 in fines due to permitting and zoning violations. So far, DPP is not taking action on these violations or collecting the fines which are due. I am pleased to report that legislation for the regulation of puppy mills passed this session. although changes need to be made in order to make it effective in regulating or preventing puppy mills, while not discouraging responsible hobby breeding. The state Department of Commerce and Consumer Affairs, which would be the enforcing and licensing agency for large commercial dog breeders, has asked for a Sunrise Review of the bill (SCR111), which examines how licensing should be implemented and, at the beginning of this session, I introduced a resolution that initiated that process. Some toughening of animal cruelty laws has been done this session; however, much could be accomplished by adding strict standards of care in future regulations. This should include stringent requirements for fresh water, food, clean and sanitary living conditions, adequate room for exercise, and socialization. Regardless of how many animals are living on a property, these standards of care should be strongly enforced and monitored. One of the biggest problems of over-population in pets is the lack of quality and affordable neuter/spay programs. Although a city spay/neuter program does exist, funds are often depleted early in the year. A typical spay or neuter costs $300 or much more - a prohibitive price for many. California has introduced a bill adding a voluntary check-off item on the state tax return for contributions to low-cost spay neuter programs. Perhaps Hawaii can consider such a program in the future. Mobile spay/neuter services for pets of the indigent and homeless also have been successfully implemented in other states. They say that you can judge a society by how it provides for its weakest members. Caring for our four-legged furry friends may seem like a low priority when faced with today's concerns and challenges. But for those of us who come home to a loving, joyous family pet after a hard day at work, we know differently. Mahalo also to the many "foster families" who are now unselfishly caring for the Waimanalo puppy mill dogs. Give all those very special puppies an extra hug for me tonight! If the majority of the lawmakers and Hawaiian Electric Co. get their way under Senate Bill 367 - the bill designed to finance an interisland cable - the Oahu ratepayer will be solely responsible for the cost of the project, predicted to cost somewhere between $500 million to $1 billion. An editorial in Sunday's Star-Advertiser indicated otherwise ("State utility grid desirable but help small-scale users, too," Star-Advertiser, Our View, March 20). SB 367 contains several astonishing entitlements. It allows the utility to recover the full cost of the interisland cable and on-island infrastructure, no matter what the outcome. Once approved by the Public Utilities Commission, these costs would be applied to the ratepayer in the form of an automatic rate adjustment, seen as an added surcharge on everyone's bill until the project is paid in full. The cost includes every conceivable expense, from predevelopment through commercial operations, and even includes a guaranteed rate of return for the utility and its lucky shareholders. This boon applies to the utility no matter what degree of success the project has. Even if the cable is unsuccessful or plagued by problems, the utility will still recoup all its expenses, from planning to operations with a profit to boot. Proponents of the bill argue that SB 367 is just establishing a regulatory structure. True enough, and this regulatory structure will change the way the utility does business, forever. Proponents also argue that the risk is very small that the project will not succeed. But if the risk is so small, why are HECO and state Department of Business, Economic Development and Tourism so determined to pass all the costs to all of us? Proponents argue that the only way to make the cable happen is to take all of the risk out of the project. But is this truly the only way? And if the ratepayer must foot the bill, why aren't they entitled to a part of the profits as well? Almost everyone agrees that Hawaii must wean itself from imported oil before it is too late, but the question is how. Perhaps the only possible way for Hawaii to move forward is for the ratepayer to foot the entire bill for a massive wind project, and that it is too much to ask the utility to take any of the risk. But if this is true, it seems only prudent, only fair, that before the ratepayer agrees to pay for the cable, we would know the cost.